AAI Notification 2018.Indian Aviation Academy, has released a notification for the recruitment of Consultant, Senior Consultant vacancies.Check the eligiblity and notification prior to apply for the positions. a. Qualification: Graduate in Civil or Electrical Engineering. MBA in Marketing desirable. b. Experience: 10 years’ Experience in managing facility management contracts including estimation, preparation of tender documents, bid invitation, bid scrutiny, work supervision, bill certification etc. For Civil, Electrical, IT & Housekeeping works. Experience in hostel management and teaching is desirable. a. Qualification: Graduate in any discipline. MBA desirable. b. Experience: 10 years. Working in airport operation in which should include at least 3 years of experience as trainer in Airport Operations related topics. Age: Below 55 years as on 30/09/2018. Application Fee: Application Fee of 500/- (Rs. 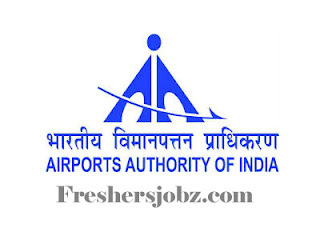 Five Hundred only) is to be paid by the candidates through Demand Draft in favour of INDIAN AVIATION ACADEMY. However, the SC/ST/PWD/Female candidates are exempted from payment of Fee. Fee submitted by any other mode will not be accepted. 1. Qualification: Graduate in any discipline. MBA desirable. 2. Experience: 15 years’ experience in Management which should include 5 years in an educational/training institute including Resource Management, Maintenance Management, Hostel Management etc. Experience in Contract Management and Supervision of Engineering Maintenance activities, House-keeping and catering etc. Teaching experience is desirable. Director, Indian Aviation Academy NIAMAR Campus, Behind Indian Spinal Injuries Hospital, Vasant Kunj, New Delhi-110070. Screening and eligibility will be based on the details provided by the candidates. Candidates will be shortlisted on the basis of their performance in Interview.